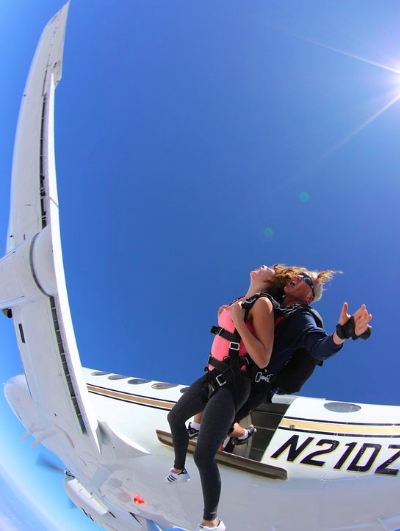 Top 3 Airplanes to Skydive From - Skyrider Review. Our personal favorite. This airplane seats 21 stoked skydivers. Has twin turbine engines and climbs at a record breaking 2500′ feet per minute (on average). Our Cadillac of a jump plane is top style and our preference rocketing us to 18,000′ in just 9 minutes, everyday. 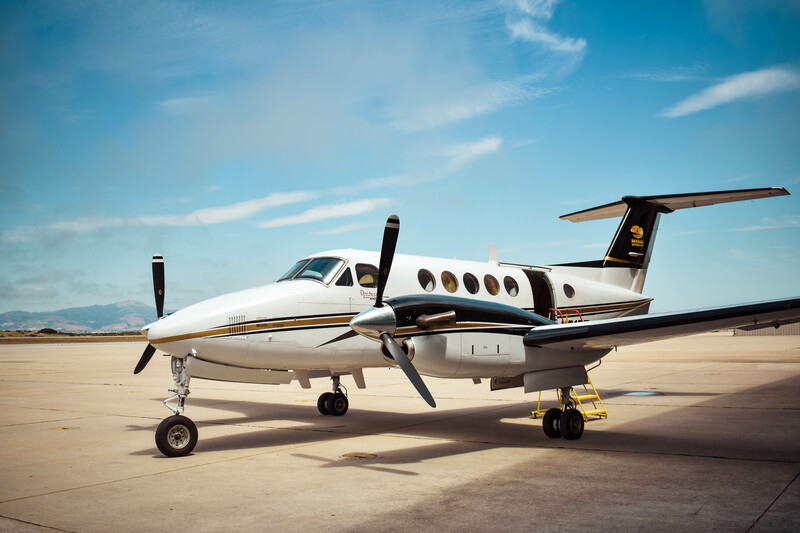 Our King Air belonged to a State Senator once but now we are the lucky ones who put a couple of the largest engines allowed and transformed this corporate aircraft into our favorite skydiving airplane. 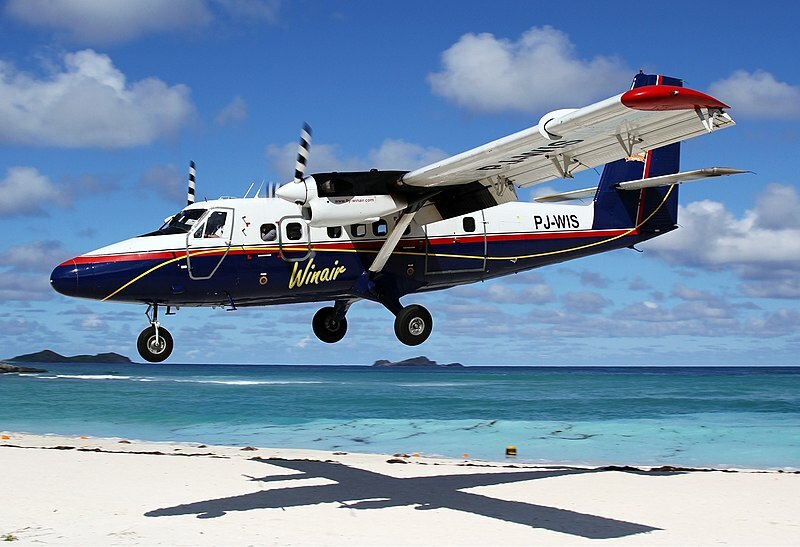 This is a sturdy classic, the Twin Otter seats 21 skydivers as well. Its a slow, and stable jump plane reaching a regular 13,500′ feet jump altitude (we jump much higher at Skydive Monterey Bay) in about 15 minutes. A wide cabin allows jumpers to sit on the floor or on a seat depending if benches are installed. 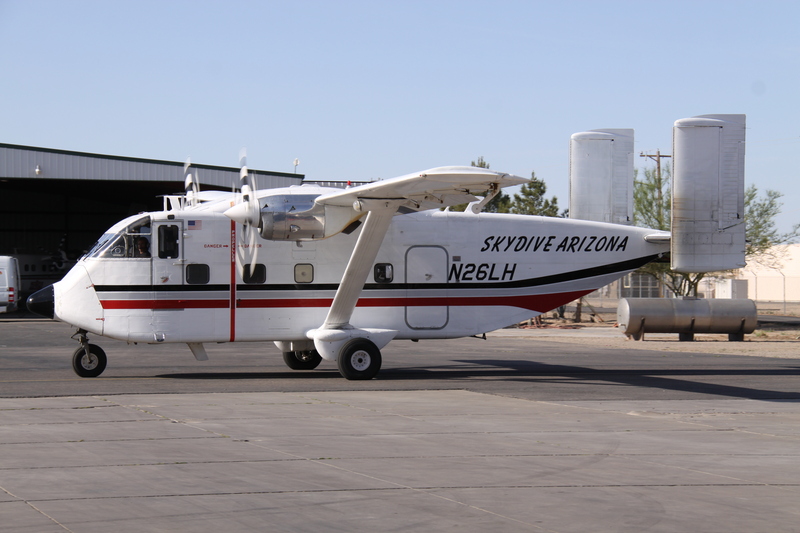 Just a few skydiving centers will lease this plane for special event weekends. The breadbox that flies! Looking very boxy and flying very loudly the rear cargo door opens all of the way and your imagination on exit is required! This airplane is superb for jumping with your inflatable beach toys, large groups of friends or cartwheels out into freefall. A jump plane that is more a novelty due to the decibel level requiring ear plugs or loss of hearing due to the loud engines reverberating through the cabin during flight. The speed is no bonus here either, arriving at 13,500′ in about 18-20 minutes, it the large exit door on this baby that makes skydivers smile.